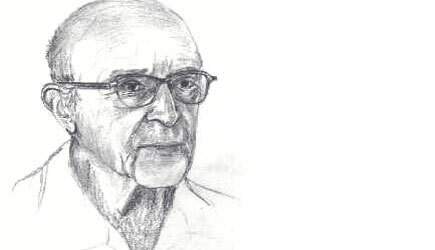 Carl Rogers, the First Transformative Mediator? The founder of humanistic psychology, Carl Rogers, believed that empathy, genuineness, and unconditional positive regard were necessary and sufficient to effectuate positive change in his clients. It was not necessary, and probably not even helpful, as he saw it, for the therapist to advise the client what to do next. Dorothy Della Noce, in her chapter “The Case for Transformation: A Review of Theoretical and Empirical Support” in Transformative Mediation: A Sourcebook, further explores how Rogers’ research and thinking support the concepts underlying the transformative model of mediation. Della Noce observes that Rogers explored a wide range of helping relationships, teacher-student, doctor-patient, and mother-child, as well as therapist-client. And it appears to me that the mediator-client relationship calls even more clearly for non-directiveness by the mediator. Mediation’s widely accepted core value of self-determination seems to demand that the mediator be careful not to usurp the clients’ decision-making. Further, the need in mediation for impartiality makes advice-giving nearly impossible, as any advice is bound to be more aligned with one party’s perspective than the other’s. For example, even the widely held assumption that both parties benefit equally from a pro-settlement bias does not hold up to the reality that one party is often more motivated to settle than the other. Though Rogers did not explicitly address mediation, Della Noce finds a comparable context in which Rogers applies a non-directive intervention. In the context of group therapy, Rogers describes doing what transformative mediators would call a summary, in which he simply articulates the two contrasting viewpoints that group members have expressed, and acknowledges that they are different. Rogers’ beliefs about human capacity led him to an approach where his attention, his reflections of what clients are communicating, and his summaries of their differences led to improvement in clients’ understandings of themselves and each other. So Rogers seems like a kindred spirit to us transformative mediators. Dan Simon teaches and practices transformative mediation in St. Paul, MN. He also writes the blog at The Institute for the Study of Conflict Transformation.